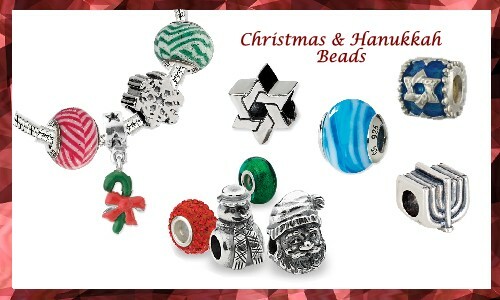 From St. Patrick's Day to Fourth of July, Christmas, Easter and more, we have a wonderful selection of holiday themed bead charms. Our beads fit popular brands of trademarked bead collections, Zable, Reflections and more. We love these bead charms. Or start your bead collection with a starter charm necklace. The beads on these necklaces can be removed and worn on your bracelet. Or they look great like this! How fun! Click here for starter styles.